wip: domino socks, and oh, cubital tunnel syndrome! So I've been bad. Remember that nagging wrist/elbow pain I've been complaining about lately? Turns out it's Cubital Tunnel Syndrome. My ulnar (read:funny bone) nerve has been compressed for so long that it's inflamed. I often can't feel my pinky and ring finger anymore, and sometimes it's meant dropping mugs full of tea from the numbness. GAH. I can owe this to my fulltime jobs--my day job of digital painting, exacerbated by my 8+ hours a day spent knitting for the shop. Ok, here's how I've been bad. I've been sneaking a few rows in anyway. I know I shouldn't, but I guess the painkillers have made me a little bit brave(You warned me, Michelle, but it's so tempting!). And thanks to that, (my elbow is cursing me) this little sock has grown, just a little bit more. It really can't be that bad anyway, right? Given the right posture, less pressure on my inner elbows and a looser grip it's can't be as bad as it was before. I'm going from 8+ hours to 30 minutes max(punctuated by breaks), that's got to count for something. On the other hand, I've also been pretty good! Besides following through shop and concept design commitments (with my good friends Ibuprofen and frequent breaks), I've had to practice filling my day with things other than my businesses. Part 1 of my July reading list, Kazuo Ishiguro's Never Let Me Go, was finally finished. I'm not gonna lie, that book fucked me up. Even from the get-go, when I realized I was going to care about Kath, Tommy and Ruth, I knew I was in for it. If you're down for being devastated, this is definitely the book for you. What I'm getting through now is Wilkie Collins' The Moonstone. What is known so far is that there are some very complete and relatable female characters(at least for their time) to look forward to, as well as a juicy mystery plot. Beyond that I have no idea what I'm in for, which is exciting. And tv shows! Hannibal S2 is compelling but often hard to watch, and Stargate SG-1 is UGGGH FANTASTIC. Some more marathons of friend-recommended shows are on the horizon as well. I just have to lock up my WIPs so I'm not tempted to 'make use of my hands' while watching. Overall, I'm trying to feel pretty optimistic about this RSI. It definitely dispelled my dejection to have learned what I've got before it was any worse. Nerves take annoyingly long to heal, but I'm grateful to know that a behavioral recovery is within my currently weak, numb-pinkied grasp. 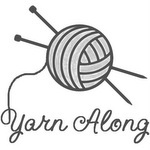 Linking up with Ginny's Yarn-Along. I spent the last few weeks working through about 400 grams of yarn to finish those pairs of socks for Jason (and one for me~). It was one Hunter’s Sock after another—that memorized routine which, admittedly got a little old after a while. What’s going on now? Next to commissioned art, hiking and dining, I’ve been working through A Clash of Kings (read: dodging TV spoilers like an ace), and having a blast with Marie Godsey’s Ribbed for Him pattern. It’s a new functional knit ribbing pattern style I love. The variegated yarn has me stopping often to show Jason how awesome these spontaneous little stripes are turning up on these little things. ugggggh the colors…!!!! I don’t think I’ll ever tire of variegated and self striping yarn. The badass yarn currently being transformed here is James C. Brett’s Woodlander DK in Shade L5. The scheme brings cozy fires, flannels and of petrichor to mind. Manly pajamas too for some reason. My kinda thing. I can't understate how much of a nice departure this is from the last three pairs of socks I knit. I'm expecting this project to be a comfy staple in my sock collection and am super excited to see them finished. a little update for this week: on wednesday i went in to get the second half of my wisdom teeth pulled--the first half were taken out last summer, and i've been stalling for my second visit since. i'd say that all of that fear and putting off of the appointment were for nothing, but i've been in a lot of pain and have had to take it easy to let myself recover. it's meant less time to run around and ship my few orders, and less time to wander and take photos. i don't like downtime at all. i'd be totally miserable if i weren't able to spend time doing my tow new favorite things--reading and knitting. recently i started on tolkien's the hobbit, and have really enjoyed it since. i remember being a little scared off by tolkien's books when i was much younger, and since then have just idly put off reading his stories, but now that i've finally picked one up, i'm happy to find it not too difficult to read at all, and excited to see what the rest of his books have in store for me and my imagination. next to reading i've been casting on and binding off dozens of little bath scrubbies for the little shop. they've been relaxing to knit, and i hope they find a home soon after i list them! so far they've been mostly white or in some favorite color schemes already sitting in my yarn basket but i hope to have more variety in color choice, just like i do with my washcloths, but those will have to come with time. it would be a masterpiece of understatement to say that knitting and reading have been keeping me sane this weekend. 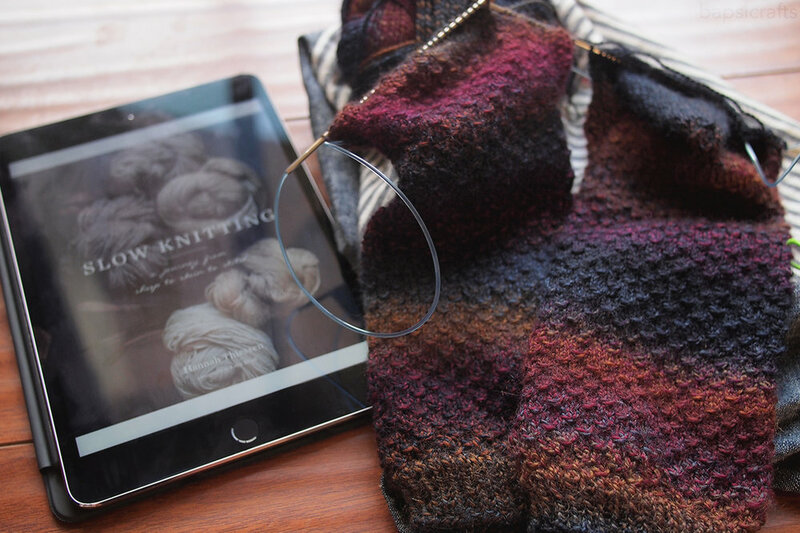 do you have any projects or books keeping you busy this weekend? do tell in the comments! this summer i made a resolution to read more books, it's sad to me to not be an avid reader, and the excuse of not wanting to sit there for a long time to stare at a book can't fly anymore [especially when i'm already spending ages browsing online...]. the resolution itself presented two challenges for me--the first was to find out what to read, and the second was what form i'd like to read the book in. there's no doubt about how nice it is to have a hard copy in your hands to take anywhere and bookmark, and there's a good chance the book won't cost too much, but it's sometimes hard to justify the loss of precious space in a small home like mine. it seems so counterintuitive with my love for yarn and sparked interest in books but i've been very interested in living minimally for that reason. so to justify the cost of shelf space i look at review after review on book sites and try my best to gauge the rereading or reference value of the book that i haven't even looked much into [bless you, google book preview], and maybe if i don't forget about the book altogether, i'll make the big choice to purchase it. sounds like i could use a kindle, huh? i went through that long process when buying these two books pictured, and so far i haven't regretted my purchases one bit. recommended by a friend, cordelia fine does a wonderful job of doing careful research and delivering her points clearly in delusions of gender, and has made me think a little harder about information i'd otherwise blindly consume. 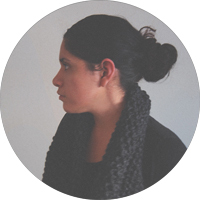 and stephanie the yarn harlot's done nothing but wow me with her writing style and relatability. i'm beginning to understand why she's so popular in the knitting community. these are both really nice reads that i'd recommend to anyone who has as hard a time as i do about making purchases. especially if you're going to buy knitting rules. don't. hesitate. i think after finishing these two i'll try an epic for the rest of the year. maybe tolkein, who knows. reading feels great. have you fallen in love with any good books lately?